Are you planning to invest in the real estate market this year? If yes, then you need to know the common real estate investing strategies. These strategies are used by successful investors. They made a lot of money using these strategies and you can too. Just learn the ins and outs of the real estate business and choose a strategy that fits your financial goals. In a flipping method, everything is done in a short time frame to make a large lump sum of cash. Usually, investors try to complete the flipping project in less than a month. You purchase a property and rent it out to someone else (good tenants). 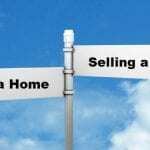 There are many ways to invest in the real estate using buy and hold method. If you don’t have enough money, then you can apply for a loan. It will require 20% to 30% and the rest is financed by the lending institution. It’s up for you to decide how many years you are going to repay the loan including the interest. You can choose between 15 to 30 years. Once you found a good tenant, repaying the loan won’t be a problem because you are going to use the rental money to pay for the loan. The key here is to improve the property to make it appealing to tenants. You also need to screen your tenants to make sure that the monthly rental fee is paid on time and your property is well taken care of. Over the years, the market value of the property increases. If you need a huge amount of money, you can sell the property and take advantage of appreciation. Wholesalers find deals for other investors. 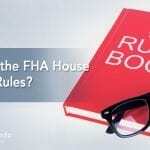 They get the house under contract and assign or sell it to another investor. Wholesalers scout for rundown properties in a stable or growing neighborhood. They will contact the homeowners and ask if they want to sell their house. The purpose of wholesaling real estate is to find great deals even before the property is made available for the general market. Basically, wholesalers have a list of buyers who are looking for flipping worthy properties. 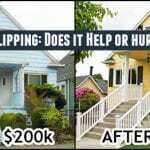 The typical market is house flippers. Wholesalers do not make as much money as house flippers and rental property owners. But they get to make quick cash the moment they find a buyer. Wholesalers usually make $5,000 to $10,000 per deal. If you close multiple deals in a month, you get to enjoy a huge profit without doing all the hard work. You don’t even need a lot of money to become a wholesaler. Basically, these are the three of the commonly used real estate investing strategy. There are a lot more, but this year, these three remain on top of the list. Which of the three should you choose? Well, it all depends on your skill level, budget, and financial goal. 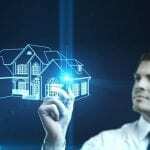 You can even try other real estate investing methods such as crowd funding, a real estate investment group, real estate trading, and real estate investment trust.